One day when Sampat Pal Devi, a simple woman living in a village in Northern India, saw a man mercilessly beating his wife. She pleaded with him to stop but he abused her as well. Protect the powerless from abuse and fight corruption to ensure basic rights of the poor in rural areas and discourage traditions like child-marriages. Support and train women to enhance their basic skills to become economically secure and develop confidence to protect themselves from abuse through sustainable livelihood options. 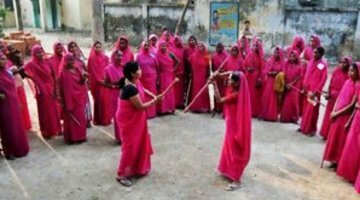 The Gulabi Gang is an extraordinary women’s movement formed in 2006 by Sampat Pal Devi in the Banda District of Uttar Pradesh in Northern India. This region is one of the poorest districts in the country and is marked by a deeply patriarchal culture, rigid caste divisions, female illiteracy, domestic violence, child labour, child marraiges and dowry demands. 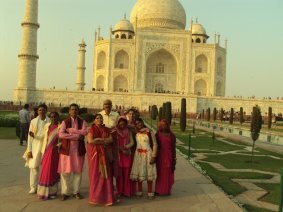 The women’s group is popularly known as Gulabi or ‘Pink’ Gang because the members wear bright pink saris and wield bamboo sticks. 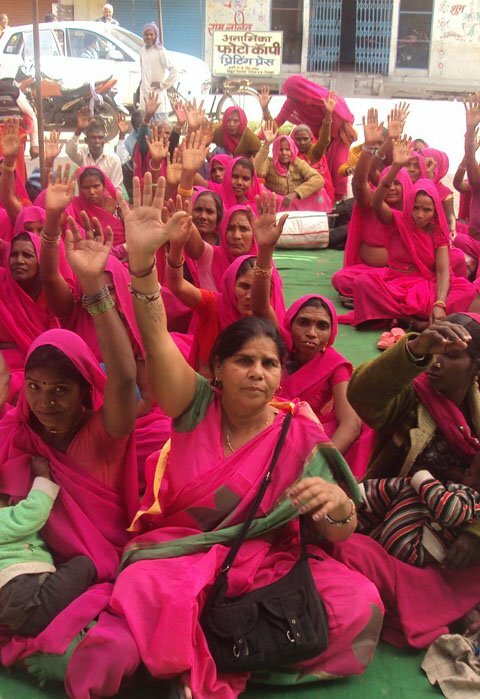 Sampat says, “We are not a gang in the usual sense of the term, we are a gang for justice.” The Gulabi Gang was initially intended to punish oppressive husbands, fathers and brothers, and combat domestic violence and desertion. The members of the gang would accost male offenders and prevail upon them to see reason. The more serious offenders were publicly shamed when they refused to listen or relent. Sometimes the women resorted to their lathis, if the men resorted to use of force. 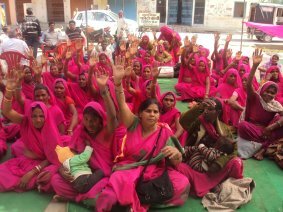 The Gulabi Gang is an extraordinary women’s movement formed in 2006 by Sampat Pal Devi in the Banda District of Uttar Pradesh in Northern India. 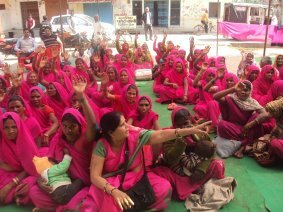 Gulabi Gang strongly fights for the cause that women should have equal socio-economic, cultural and political opportunities as men. Small Scale/Cottage Industries occupy an important place in the economy of India, which is predominantly an agricultural country and a seasonal industry. Providing facilities for a complete wedding within local community with cost-effective solutions to cater to the modest means of the community. 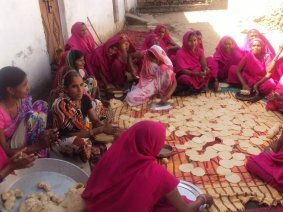 In 2003, Sampat Pal Devi formally set up the trust, Sampat’s just ways and enterprising streak helped Prema Rambahori, a dalit woman, set up a leaf-plate making business in Bangalipura community of Badausa village, a tribal area barely 15 kms away from Gulabi Gang’s “Karyalay” (office in Atarra). These environment friendly plates are sourced by adjacent towns and communities for weddings and various other functions. The work has expanded, and currently Prema employs 500 women of the community, each earning upto Rs. 150 per day.